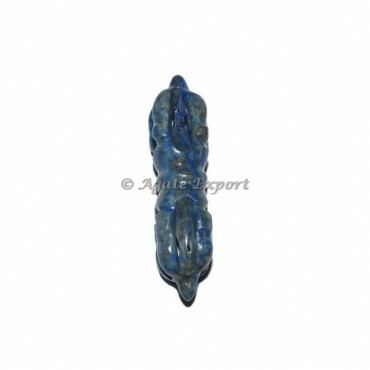 Exquisite One-of-a-kind vajra made from the beautiful dark blue lapiz lazuli gemstone. When it comes to finding your happy place, these life-giving elements make top destinations for calming the mind and opening the doors to a higher consciousness. You can change the design as per choice and for any special order contact us directly.